A social media audit is a great way to improve a social media platforms performance, by analysing and optimising a business's social media strategy. One strategy might be to connect with influencers and increase brand awareness, another may be to increase sales and hence promote offers/discounts more actively. The main objective is to achieve short or long-term goals relevant to the businesses current aims, and ironically one way to achieve this is from creating an audit. This way you’ll be able to see if your strategy is working, needs improvement or new direction. Downloading metrics from social media platforms can be a huge headache, you’ll have to access different platforms and then manually put together findings to evaluate your next steps. 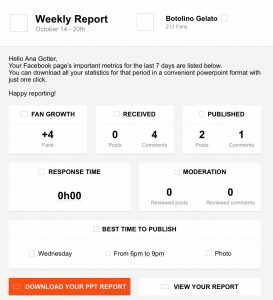 Tools such as “Agorapulse” save a heap of time, making the process a lot simpler and accurate, it is not susceptible to human error and allows users to create, schedule, queue and directly publish content across multiple platforms including Instagram. They even send emails informing users of the best time to post and what type of content is likely to perform best, despite Instagram having its own analytics, this tool allows you to manage and review metrics on multiple channels making life easier when comparing and evaluating the next steps needed to improve on all platforms. Looking at your metrics will be the first step towards a social media audit, often you’ll access your followers, following, engagements such as likes and mentions. However, with Agorapulse it will cultivate all metrics with the platforms you desire so you can see how many followers you have on each platform, how much they increase or decrease by, and much more than the usual analytics will provide. In simple terms It makes one job achievable without compromising on information. Other options for social media audits include evaluating a social media platform, predominately one you use more often, one you have the most engagements or followers with. From accessing your strategy on one platform only, it will help you follow a direction for the remaining platforms you use as well as distinguish where your main audiences are online. The fault in this method is there is room for human error, however there are alternative options to help analyse weather changes made from the social media audit have positively impacted platforms. Using Google Analytics can help check what platforms are sending you the most organic and paid traffic, comparing posts with the most interactions on each platform. To conclude, both methods are effective yet if you want to free more time your best option is to use a tool that can do most of the hard work for you.